What kind of Pokemon are you? Why do you do the things you do? My preview of Pokemon X and Y last month left me plenty excited. There was a lot to take in: Mega Evolutions, a lunatic scientist, an extra dimension. However, the demo also left something to be desired in its strange, cobbled together nature. It was the same demo meant to be played at the Pokemon Game Show in Japan, with a 10 minute time limit. Enough to whet your appetite and enjoy just how darn good the game looks despite the jump to 3D that left many (unduly) nervous. Earlier this week, I got to take a Pokemon cart from "New Game" to as far as I could sojourn in an hour. 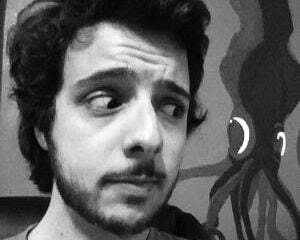 After skipping Black/White and Black 2/White 2 (it's been over five years since I've played a Pokemon game! ), it felt a bit like returning home. In the introductory sequence that explains the World of Pokemon, there is mural with a Wailord under a rainbow. It made me smile. You know the intro drill. After naming and sexing yourself, you wake up in your room, pajama clad. I remembered something as I rifled through my own bedroom and, shortly after, the rest of my home: Pokemon is a good RPG. It's a silly, facile world wherein everybody is obsessed with Pokemon, but it's also consistent and endearing. I spent a few minutes cycling through television shows, all of which involved Pokemon in some way, smiling at the warm banality of it. Within minutes I was searching trash cans for items like I hadn't missed a beat. Later in town, someone asked if I loved Pokemon. I said, "yes." They agreed. That was the conversation. It must be really, really fun to write for the series that takes its whimsy so seriously. It's like a world where you replace currency with glitter and unicorn sparkles, but then have a totally straight face when talking about your employee stock options dipping .08% kawaii kitten faces. It's childish in the best of ways. Pokemon are serious business. They are all business. X and Y's director, Junichi Masuda, told me one of its themes is beauty and it showed when I left my house to a much less humble looking town than I'm used to setting foot in. Heck, my house in X and Y -- my mom's house, I guess -- is nicer than any I've lived in. I love 2D art. If were to get wrapped up in generalizations, I could probably say that I prefer 2D art to 3D. 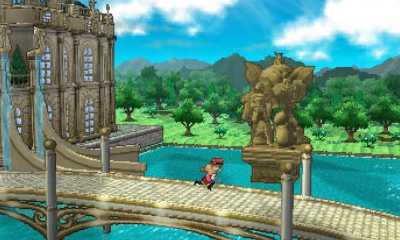 Pokemon X and Y makes great use of the added dimension. The shaders on the pocket monster models themselves make them look like faithful adaptations of their original 2D forms, rather than the typical uncanny 3D representation. Meanwhile, the 3D environments offer a little more breath, a little more life to the adventure. Regular routes have sweeping camera angles and beautiful nature effects. It might just be the novelty, but I like it so far. I also love the 3D models, animation, and attack effects in battle. Remember Zigzagoon? Screw Zigzagoons. They're derpy Rattatas, infuriatingly unaware of their status as boring fodder. But wait! I encountered a Zigzagood in battle and it playfully bounded back and forth like a corgi and...what is this... I think Zigzagoons are super cute now?! It's true. The animation is delightful. Interestingly, the one thing that didn't sit well with me is the 2D art for trainers you encounter, which shows up as you head into battle. Something about the overly clean, smooth, computer generated look didn't sit right with me. It's the only time I missed sprites. You're introduced to a host of friends early on that basically acts as a tutorial and gives you your first Pokemon. 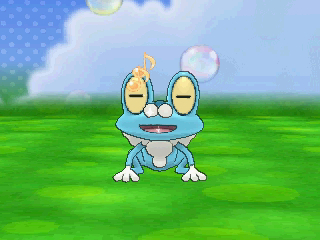 I went with a Froakie, the aloof blue frog with the best facial expressions. It was my first water starter since Red/Blue and Gold/Silver; the first time I chose a water starter first, too. I didn't want that to get to his head, though, because I'm still suspicious of these new starters, so I named him Croagunk. It's like Pokemon trainer negging. It was a bit strange going through the first forest with a friend attached at the hip ready to heal me on command. Unless I missed the trend starting with Black.White, the game seems a bit extra newcomver friendly early on, which isn't the worst thing. Mostly it reminded me of being two steps out of the forest in Yellow and my Pikachu encountering a Metapod that would only use Harden. I ran out of pp for all my moves and had to Struggle myself to death over an incredibly lengthy battle. It was morbid. Despite the new roller blades and Pokemon that can be ridden, bikes are confirmed. I also like buying cute hats for my character. More games need tertiary dress up components. Sometimes I want to catch Pokemon, sometimes I want to go into the shops and look at skirts. 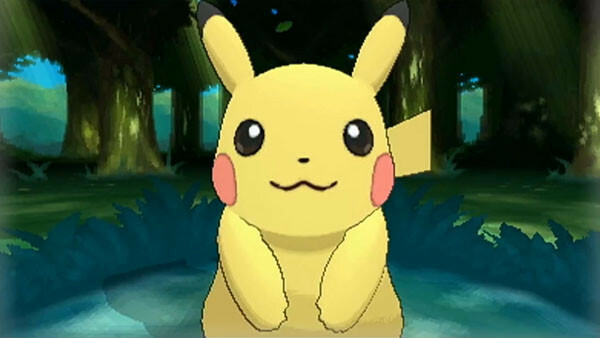 There's an admirable amount of new life in Pokemon X and Y despite things not being all that different at its core. I played for an hour, so it might just be a mix of nostalgia and novelty, but I think this will serve well as a point of re-entry for older fans and a means to capture new ones. I would like to again be a master (of Pokemon). I have the skills to be number one.